In Codeigniter Model is Responsible for database related operations like retrieving records from database, inserting records in database, deleting records or updating records in database. So first we need a database. 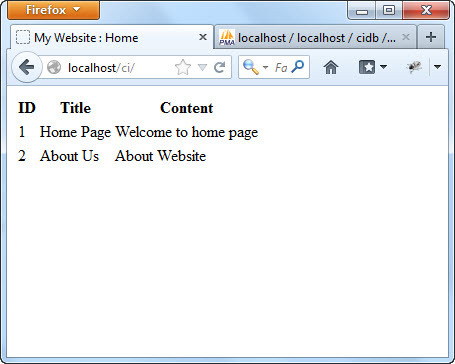 Let’s create one database in phpmyadmin. Open phpmyadmin create database named cidb (Remember we configure the database.php file) and import following sql in it. before you go through this, make sure you have already read Codeigniter Pass Data to View. Create a new file in codeigniter model directory and name it testmodel.php. put following code in it. We created a class with first character capital and name is same as its filename. 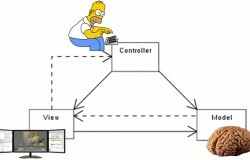 It extends CI_Model (Codeigniter Model Base Class) base class. Next thing is to create a function called getAllRecords which fetch all records from test table. To access database codeigniter has built in library database which we have to load to access its functionality. $this->load->library(“database”) will load database library in $this->db object =. Generally $this->load->library() function creates object with filename of that library but in database library it is db. If we dont want to put this library load line for database, we can add autoload library in config/autoload.php file. $this->db->get is method in database library which will get all records of specified table from database and returns an query object containing useful information. Query object has num_rows() method which we can use to check how many number of records are returned from database. If any then return array of objects otherwise return empty array. It autoloads database library and url helper (helper will be discussed later when we use it but for now just autoload the url helper) everytime. so we dont need that $this->load->library(‘database’) line in model. 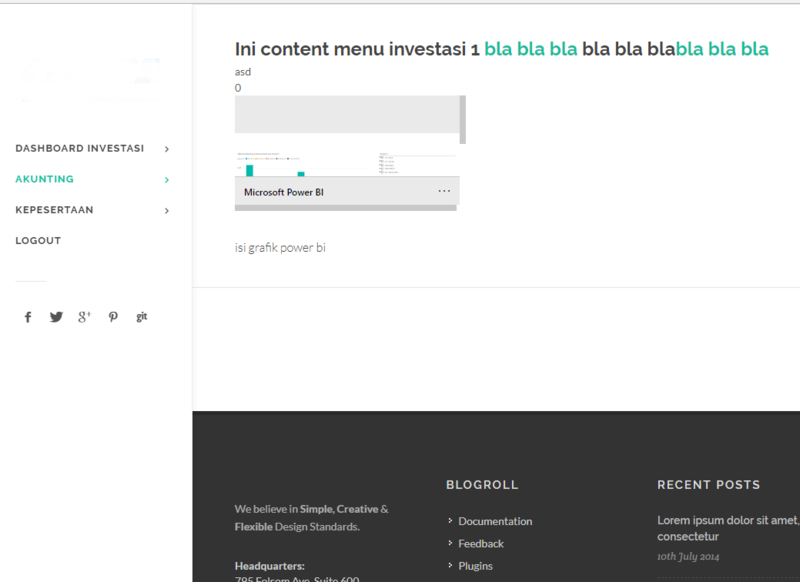 now reload browser to see the result and you will get something like this one. as you can see the data is retried using codeigniter model, which then passed by controller to view and then view loaded the data. I hope you find it useful. This is a version problem. you might using different Codeigniter Version. code work perfectly but images are not display. 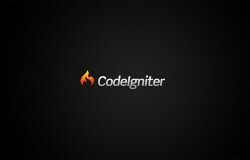 I m beginner in codeignitor. my problem is when i fetch data from database all other data has fetched but image are not displayed.please proveide me code for how to fetch image from database. remove single quote after /images. and also add forward slash instead. Hi I am biginner in code igninter. I want to fatch data from two table in database. nice tutorial. 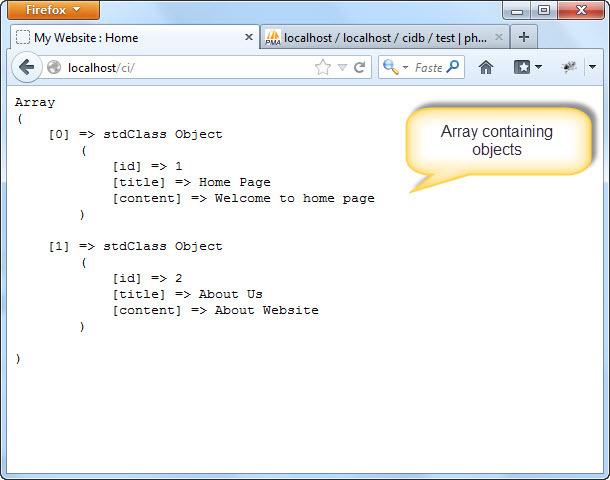 Dear php beginner’s, use ” “instead of ” “to understand how it works. hello..i have tried this code but it shows some error like undefined variable records. Hi thank you for sharing this tutorial. I’ve tried this tutorial and finally I can retrieve data from database however I would like to retrieve only one record from my database. How can I do that? I’ve tried to change some code in view, I only type one field that I want to get. But it turned out It gives exact value in database and also value from for each function(on pict there is asd 0). Any idea about this?